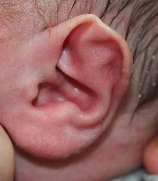 4-6% of children in Northern Ireland are born with prominent or deformed ears and another 2% develop problems within the first six months of birth. At 3fivetwo Healthcare our Consultants can offer a non-surgical, pain free solution for your child’s ear deformity, preventing the need for surgery in later life. 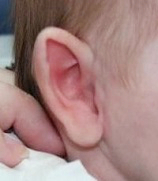 Generally, those children with severe ear deformities are treated using surgical correction of the ear which involves putting the child through a procedure that may cause distress and anxiety for the child and their family. Those who go through life with prominent ears may also suffer from low self-esteem and lack of confidence and school years can often be very difficult for some children. 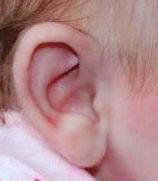 Many people are unaware that here in Northern Ireland, a new technique is available which will enable simple, successful correction of problematic ears in babies from 0 – 6 months old without the need for any surgical intervention. It is important to highlight that this new technique is most successful when the baby is treated from 0- 6 weeks, so early consultation is vital. E.A.R. Splints Ltd, a Consultant led company, have developed the new ear splint technique to correct ear deformities in new born babies. 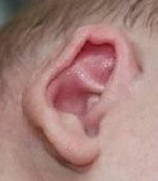 They have chosen Northern Ireland’s leading private healthcare provider, the 3fivetwo Group as the platform to offer this service to parents who are concerned that their child may be at risk of developing an ear deformity or has been born with a congenital ear deformity. Treatment involves a custom made Ufi Gel Silicone Splint which is made to fit comfortably in your child’s ear. The splint is held in place with medical tape or a head band to allow realignment of the cartilage and reshaping of the ear during the course of treatment. This will cause no pain to the child and the parents will be provided with full instructions on how to clean, prepare and set the splint on the child’s ear. One of the most frequently asked questions is, for how long does my child need to wear the splint? 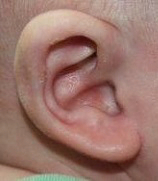 Depending on the age of your child the time needed to correct the ear can vary. Please see the table below for an estimation of time needed to correct the deformity. As you can see from the table below, the earlier they child is treated the quicker the treatment. This is a revolutionary new technique that poses no risk or pain to your child. 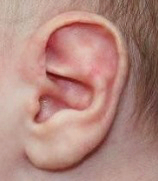 So if you are worried or concerned about your child’s ear deformities, please do not hesitate to contact us.